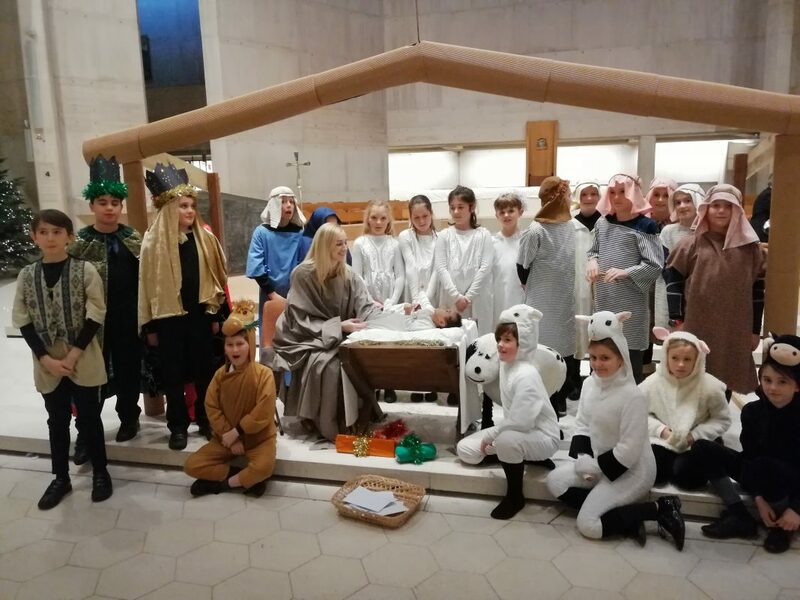 Around 950 South Gloucestershire schoolchildren, teachers and a real baby playing the part of Jesus came together at Clifton Cathedral in Bristol on Thursday 6 December to recreate a special nativity scene during our annual carol service. The main characters of the nativity were played by pupils from Marshfield Primary School. Other schools taking part include Coniston Primary School (Patchway), The Park Primary School (Kingswood), Kings Forest Primary School (Kingswood) and Lyde Green Primary School. Music was provided by a brass ensemble and the Cathedral organ, with a varied programme of traditional carols and modern songs.